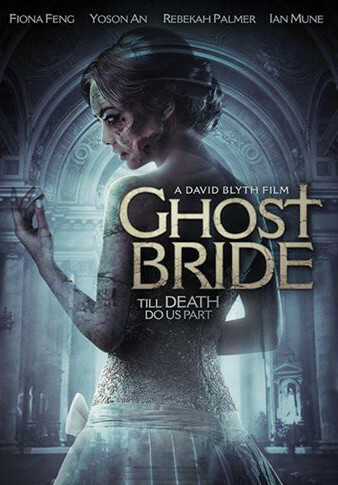 New Years Day 2008 - Montreal Fantasia Festival 2008 announces a David Blyth double bill with the inclusion of documentaries, Bound for Pleasure and Transfigured Nights. Hard on the heels of Transfigured Nights successful screening at the 2007 Lausanne Underground Film Festival in the French speaking part of Switzerland, French word of mouth has spread the word on David Blyth's films across the globe to French speaking Canada. Yoshihiro Nishimura/David Blyth director of Tokyo Gore Police, Fantasia Festival Montreal, Canada. 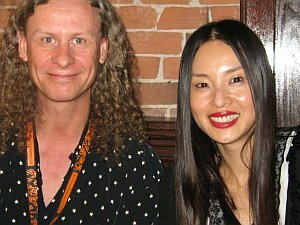 David Blyth/ Eihi Shinina of Audition and Tokyo Gore Police Fantasia Festival Montreal, Canada. 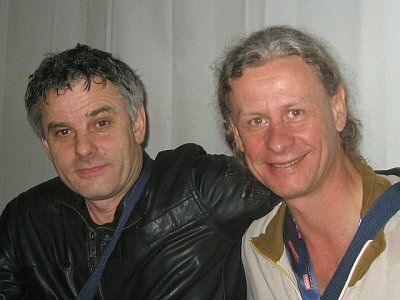 Frank Henenlotter/David Blyth director of Basket Case, Frankenhooker, Fantasia Festival Montreal, Canada. 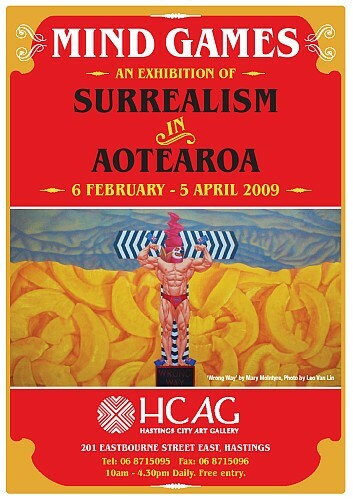 There is a retrospective of NZ cinema for an international film festival in Wroclaw, Poland, 17-27 July 2008. This will be the biggest retrospective of NZ film ever, with 34 features (more than one tenth of all NZ feature films) and 46 shorts screening. 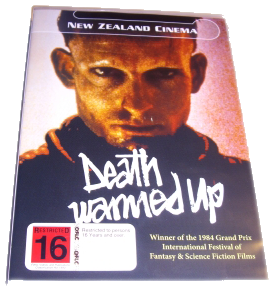 In addition, 10 NZ filmmakers will be flying in to the festival - with the filmmakers attending (just one left to confirm): Vincent Ward, Roger Donaldson, Gaylene Preston, Christine Parker, Peter Wells, Oscar Kightley, Donogh Rees, David Blyth, Leon Narbey, and Rob Sarkies. The festival will include introductions to screenings, and a panel discussion on NZ film. 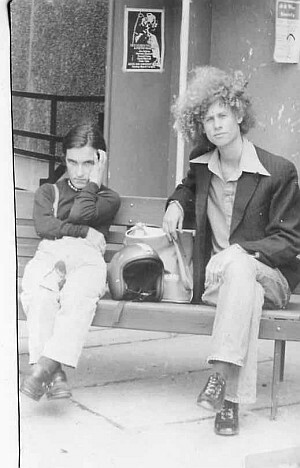 Craig Potton will present a photographic display, and there will be performances from Shonagh McCullough, Moana and the Tribe, Pitch Black, and Manaia. I recently attended the Hamilton Underground Film Festival for the Premier New Zealand Film Festival screening of Transfigured Nights. Film Maker Martin Rumsby introduced me to the audience and after the screening there were excellent questions. So a very successful screening. 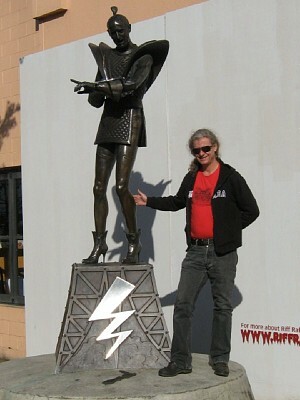 While in Hamilton I visited Richard's RIFF RAFF statute on Hamilton's main street. 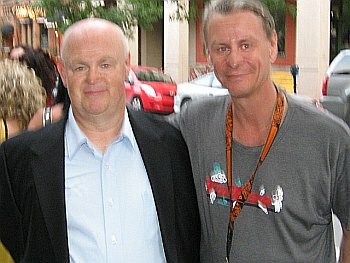 Many years ago at the invitation of Australian Director Jim Sharman, I went to London and observed the making of SHOCK TREATMENT, the sequel to the Rocky Horror Picture Show. David Blyth's first film Circadian Rhythms made in 1976 is screening at the Hastings Art Gallery in a special NZ surrealism exhibition. 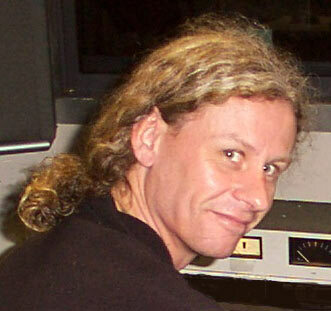 David made the film with the help of Richard Von Sturmer. DAVID: While at the Lausanne Underground Film Festival I had the good fortune to see some of the early 60's Andy Warhol films, including Vinyl and a two projector screening of Chelsea Girls. 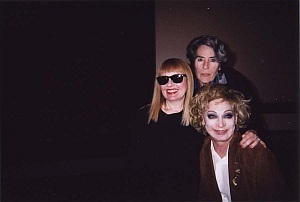 The festival invited three of the original "Warhol Superstars" , Mary Woronov, Holly Woodlawn and Bibbe Hansen who before the screenings revealed how things really were with Warhol in the Factory days, fascinating stuff. photo 1: Holly Woodlawn - the inspiration for Lou Reed's iconic song "Walk on the Wild Side"
Image credits: Photographer: David Blyth. David Blyth and Vincent Ward at the 8.Era new Horizons International Film festival in Wroclaw Poland. 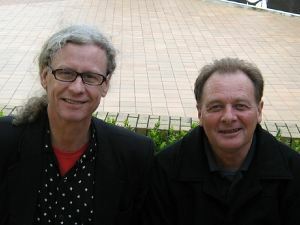 David Blyth was attending the major New Zealand Retrospective with Angel Mine. Vincent Ward had a retrospective of all his films along with the most recent Rain of the Children, which recieved the Festivals Audience Award. Rain of the Children is currently screening in cinemas around New Zealand. 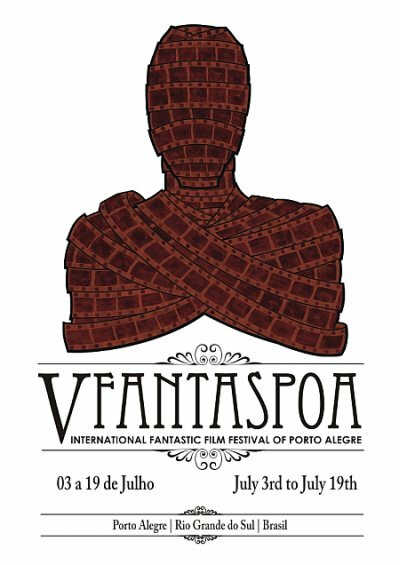 5th Fantaspoa International Fantastic Film Festival of Porto Alegre, Brazil. David Blyth is attending the Festival - from July 3rd to July 19, 2009. David has also been invited to be a member of the Festival Jury and give a Film Workshop Masterclass. The selection committee has announced that David Blyth's latest film Transfigured Nights has been selected to be part of their international documentary film program. The festival takes place from October 10th to 14th 2007 in Lausanne, Switzerland.